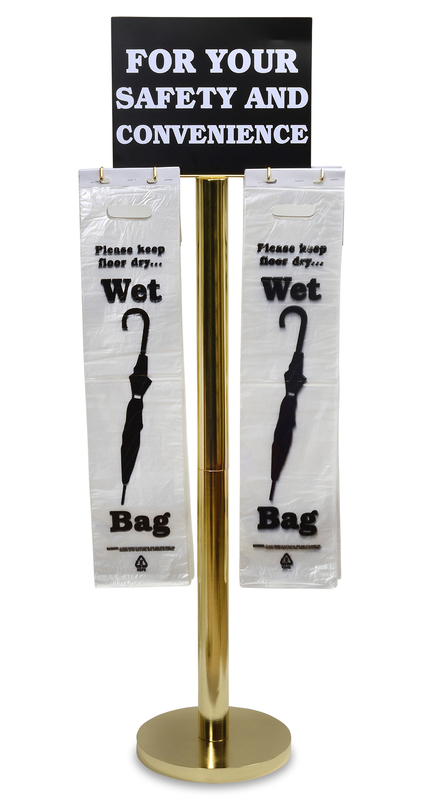 Attractive, portable brass-plated stand displays Tatco 57010 wet umbrella bags (sold separately) on two sides and in both directions. Holds up to 800 bags at a time. Stand will not tarnish. Pad on base bottom protects floor from scratching. Base is 12” in diameter. Two-sided sign and hardware included.